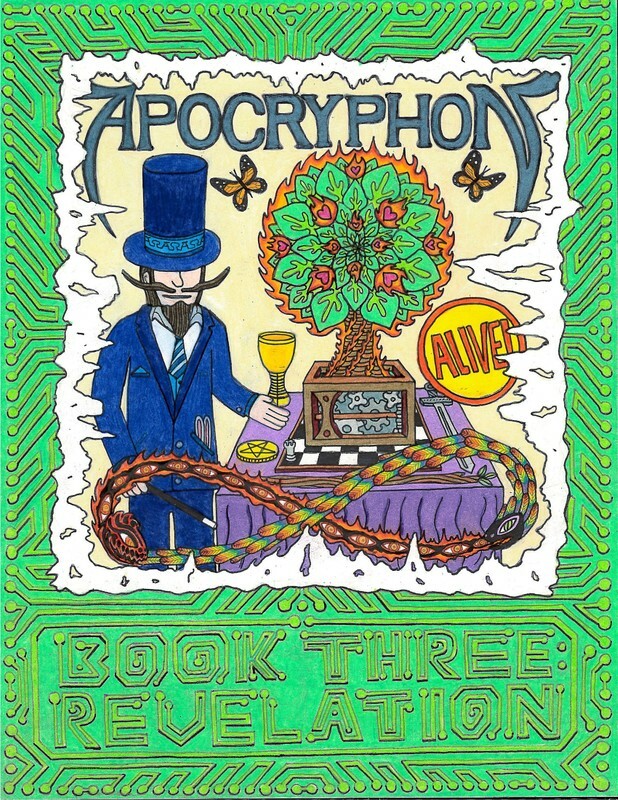 APOCRYPHON is my most recent work of psychedelic-scientific-Gnostic mythology; essentially, a story about how we tell stories, and how these tales change through time and retelling. All pages are hand-drawn and colored, ink and colored pencil, sized 8.5x11 to 11x17. REMEMBER was my first illustrated book, written and illustrated while I was backpacking around the western half of the United States from January to December 2012. Every page is Ink and Colored pencil on posterboard, 11"x17".